FCC's plan to reboot net neutrality might transform municipal broadband. On Wednesday, the Federal Communications Commission rolled out a shopworn plan to restore open Internet rules. But there is one twist: support of community broadband. As part of an effort to retool so-called net neutrality regulations, which suffered an unfavorable ruling from a federal appeals court last month, the FCC announced that it will take a close look at lifting restrictions some states have placed on the development of municipal broadband. The FCC sees its opening in a separate opinion Judge Laurence H. Silberman issued as part of the net neutrality case last month. In his opinion, Silberman characterized laws prohibiting cities and towns from building their own Internet systems as a barrier to infrastructure investment. The commission, Silberman noted, does have authority to regulate against any such impediments. 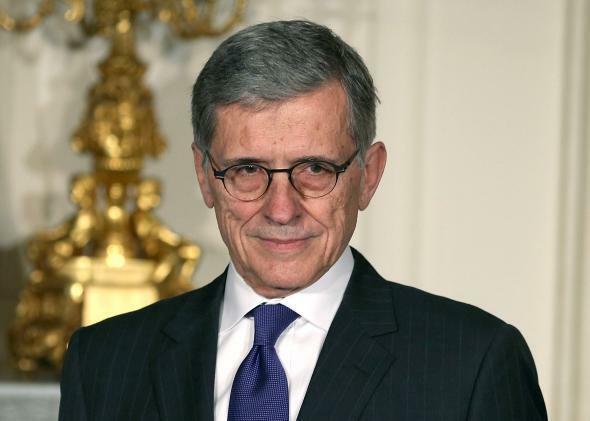 Looking into what the agency can do to remove that barrier is “an obvious candidate” for efforts to boost Internet competition, Democratic FCC Chairman Tom Wheeler said in a statement. The FCC declined, once again, to regulate broadband as a utility. In telecommunications parlance, this would mean reclassifying the Internet under Title II of the Communications Act, giving it the same treatment as landline telephones. Staunch advocates of net neutrality believe that’s the only surefire way to root open Internet regulations in firm legal ground, but Republicans and carriers view that as tantamount to dosing the industry with kryptonite. Having decided not to pursue reclassification for now, the FCC has set the stage for a tired debate on how the agency can craft rules to prevent improper blocking and discrimination on the Web without harming industry or overstepping its legal authority. The real news here is what the agency might do to foster the growth of community broadband. The FCC has only just declared its intentions to take this up, so it’s far too early to draw any major conclusions. But it raises a number of interesting possibilities. One is that the agency sees a new bottom-up tactic to advance the net neutrality cause state by state. This is, after all, the third time the FCC is attempting to write federal rules—perhaps top officials think it wise to see what impact they can have at the municipal level. Even if the commission doesn’t plan to directly challenge states with laws that stymie or prohibit community broadband—there are 20 states with some kind of restriction—FCC officials might use the bully pulpit to push back. Kansas and Utah have legislative proposals before them now that would limit growth of government-funded Internet. In the very least, the agency can raise the profile of city-owned broadband by studying and publicizing the issue. This could happen through a public proceeding to collect data on the matter and or by shining a light on how legal restrictions can harm the health of broadband competition. Perhaps with some prompting from the FCC, more towns will consider whether they want to give their citizens the option of having Internet available like another utility. The same day the commission unveiled its net neutrality proposal, Google announced plans to bring its fiber network to an additional 33 cities across the country. If cities want to move forward with their own broadband networks, now is the time.